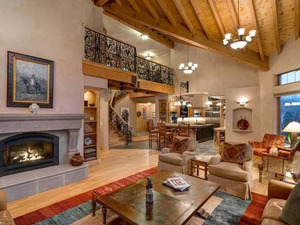 This impeccable home in Sundance Ridge Preserve offers the ultimate in privacy, function, design and views. From the Flattops to the South, to Hahn's Peak to the North, the views are some of the most stunning you will find in the region. The focus of construction was to create a chemically clean, energy efficient and environmentally friendly home while providing warmth and functional accommodations for entertaining and everyday living. The estate boasts a western elegance throughout and features the highest of quality finishes and craftsmanship. Inside this spacious 6,699 sq ft. home you will find four bedrooms, five baths, living room with 19 foot high ceilings, dedicated office, dining room, spa room, family room with wet bar and billiard area, solarium, exercise room, wine cellar, cupola, and a 4-car garage/shop. 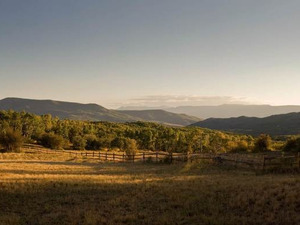 Perfectly situated on 11.08 acres, the property is surrounded by a pristine land preserve featuring 201-acres of private open space for the Owners of Sundance Ridge Preserve graced with 6 miles of trails throughout and 3 ponds, in addition to access to adjacent public lands. A private water system serves the lots within the subdivision.